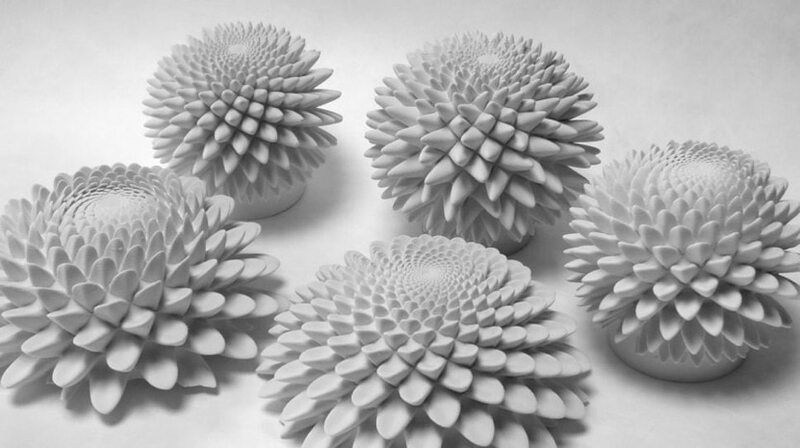 These 3D-printed sculptures, called “blooms," are designed to animate when spun under a strobe light. The placement of the appendages is determined by the same method nature uses in pinecones and sunflowers. The rotation speed is synchronized to the strobe so that one flash occurs every time the sculpture turns 137.5º—the golden angle. If one were to count the number of spirals on any of these sculptures, they would find that they are always Fibonacci numbers.